Calusa Ridge: Filled and Ready to Build. This private paradise lot is located in the gated community of Calusa Ridge in breathtaking Bokeelia, on Pine Island. Over an acre of land cleared and filled! Nestled in a cul de sac, boarded by lush preserves, farmland, and a friendly neighbor. Calusa Ridge is located just North of Island Center, and minutes form Alden Pines Golf Course, Four Winds Marina, Public Library, Pine Island saltwater pool, park, and tennis courts. Pine Island is dotted with bait shops, art galleries, award winning waterfront dinning, boutique shopping, and amazing locals. Enjoy the 18 mile long walk/bike path, drop your kayak in for a sunset paddle, or head on down to the Bokeelia fishing pier to spend a day fishing in the warm Southwest Florida sun. All this and so much more in the back yard of your private island retreat home. Buy today and make your Southwest Florida Dream Home a Reality. Charlotte Shores: Great waterfront home site in Charlotte Shores. Lot is on a cul-du-sac with plenty of canal frontage. Very good location to island wide bike path, school, park and playgrounds, pool, tennis courts, museum, library and shopping. And don't forget the greatest fishing anywhere. Pine Island: 2.5 acres at the north end of Pine Island ... great for tropical Groves or home site... mature trees on lot ...really nice property !!!! Pine Island: Idyllic 2.5 acres in Bokeelia FL (on high ground ...as the islanders say) with a Palm trees grove and a glistening pond. Approaching this property reveals lovely large homes residing on pretty acreage. Surrounding this little piece of heaven, in addition to the pond, is a mango grove west, and a privacy wall of Casurina (Australian) pines north and east. The perfect size acreage to spread out for evening fire pit parties and still maintain a little grove of your own. Home to a host of artists and authors, Pine Island, is further noted for it's fishing and historic fishing village of Matlacha. All offering an easy low key island lifestyle with waterways opening north to Charlotte Harbor and south to the Intracoastal Waterway before reaching the Gulf of Mexico after passing a myriad of uniquely individual barrier islands. One enjoys stellar boating, fishing, and golfing while nestled amongst a host of tropical farms and creative minds. Kreamers Subd: 4 acre palm grove ready for replanting of Palms, Tropical fruit trees or a great homesite all on highest elevation area on Pine Island...Great growing grounds on the only reasonably priced Island in south Florida.. Close to the Marina, golf course ...Come and visit tropical Pine Island let me show you this botanical Island and property today !!! Pine Island: Beautiful 1.21 acres (#52,813 sq. ft.) lot to build your dream home to enjoy Florida’s lifestyle with your family and friends. Property located closed to Bocilla’s Island Club, Capt’n Cons Fish, boat ramps, Golf Course, Tarpon Lodge, and other attractions. Great Location, the lot has a nice pond on property. Bring your best offer. Bayview Ranchettes: Beautiful 2.5 acre lot on stunning Pine Island. Fully cleared, with a pond perfect for a tranquil homesite. This location is ready for you to build your island dream home. Pine Island Center: Own your Commercial land on Pine Island. Near the center of Pine Island across from a commercial strip mall. To the north of the property are 3 more businesses. New 7/11 Gas station going up a few blocks away. Call today to lock in your piece of beautiful Pine Island. Serenity Cove: Build your dream home on your spot in paradise. Just off Matlacha Pass. Direct, no bridges access, to Charlotte Harbor and the Gulf of Mexico. See many exotic birds. Eagles and osprey soar overhead, dolphins and manatees frequent the canal. boat to beaches on Sanibel Island and Fort Myers.Fish for snook, sea trout and many other species from your back yard. 15 minutes by boat to Boca Grande Pass, Tarpon Capitol of the world, and to the Gulf of Mexico and the finest saltwater fishing in Florida. Calusa Blue Way Kayaking trail is close by on Matlacha Pass. For the biker orhiker, a bike path runs the length of Pine Island. Close to Pine Island Center, the hub of Pine Island with dining, shopping, library, tennis, community pool ball park and elementary school. 36 miles to Regional SW Airport and 16 miles to Cape Coral Hospital. Seller is a licensed real estate person. Knights Bokeelia Isle: This perfect Gulf access lot with newer seawall in place is waiting for your new home to be added so you can relax on your dock or lanai to enjoy amazing Florida sunsets. Lot is sitting in a prime location for the avid boater having direct access within minutes to Charlotte Harbor. Easy quick boat ride to Cayo Costa, Boca Grande, Sanibel, Captiva, Ft. Myers Beach, all the outer islands and the Gulf of Mexico providing some of the best fishing in all of SW Florida! Seller has a set of house plans that need approved conveying with your new lot. Very close to Capt'n Con's Fish House, Lazy Flamingo 3 and Tarpon Lodge & Restaurant. Get this while you can, this is the lowest priced Gulf access lot in Knights Bokeelia Isle, its priced to sell!! Charlotte Shores: Experience this beautiful property located in Charlotte Shores. Classified vacant residential just waiting for you! lots acres is .0.6692... Off of Stringfellow Rd. close to shops and restaurants. Don't miss this opportunity to own a piece of the Island. Serenity Cove: Waterfront lot on a beautiful Bokeelia canal with a 290 sq.ft. boat dock already installed. Boating & fishing paradise! Direct Gulf access no bridges! Lot is cleared and ready for your new Florida home. Lovely neighborhood, tons of wildlife and close to all that Pine Island has to offer. Serenity Cove: Build your new home on this lovely waterfront lot in Bokeelia. Boat dock is already in place along with the pilings for a boat lift. Lot has been cleared. Offering direct access to Matlacha Pass, The Gulf and some of the best fishing anywhere. Kreamers Subd: 4 acres with barn..palm grove ready to replant with tropical Fruit Trees, palm trees, horses ...close to marina & golf course... A gentleman's Plantation ready for a Island home or get-a-way from the hussel - bussel of city live...come and visit The last great Island in Florida...See Pine Island today !!!! 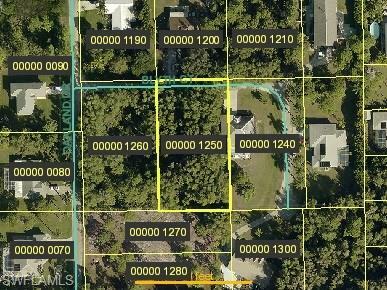 Pine Island Center: Commercial lots right at the center of Pine Island - zoned C-1- Strinfellow and Avenues C and D. the possibilities are vast. Great location. Coconut Grove Unrec: Zoned C-1 and sits right on Stringfellow Rd. Fenced on two sides already. This property has multiple possibilities for cash flow. Mortgage is easily assumable. Knights Bokeelia Isle: OWNER FINANCING AVAILABLE WITH 1/3 DOWN!! 2 BRAND NEW BOAT LIFTS, AND NEW SEAWALL. This is a great opportunity for a Direct Gulf Access lot in the fisherman's/boater's paradise of Bokeelia. Once on your boat, you are less than 5 minutes to the open water of Charlotte Harbor. You can be in Boca Grand Pass fishing for Tarpon or having lunch on the famous Cabbage Key within 15 minutes, this is a true boater’s paradise! The owner has already cleared the lot and installed water and electric to the dock (a savings of about $15,000). And best of all, there is a brand new seawall and TWO new 7,000lb boat lifts, each with boat covers, auto run lift motors, 2 captains walks, and LED motion lights! Properties like this are hard to find, and with all the improvements already in, this is a true bargain!